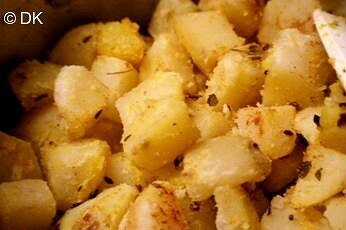 Bring a saucepan of water to a boil and add the potatoes. 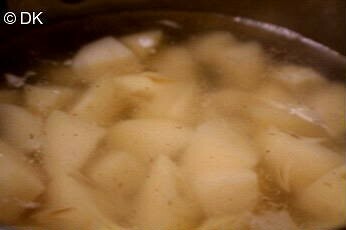 Bring water to a boil and then simmer until potatoes are slightly soft. Make sure they don’t get too soft enough to break down. Now add fennel, cumin,tamarind paste,turmeric,garam masala,cardamom powder in a tsp of oil. 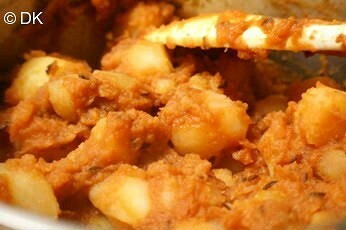 Stir for few seconds and then add the potatoes. 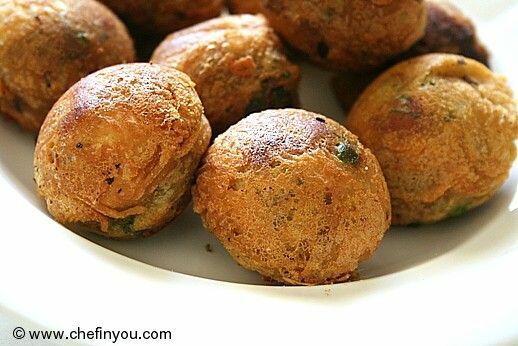 Once the spices have coated them well, add the fenugreek leaves. Stir for 2-3 min. Now add rest of the ingredients and mix well to coat the potatoes. Cook for 5 more minutes till the raw smell leaves and then serve hot garnished with some cilantro and cashews. I roasted the cashews in some ghee. And i also added 1/2 a teaspoon each of turmeric and chilli powder. :mrgreen: My husbands Dad was from Varanasi but he was born& brought up in mumbai. Let me surprise him with this . I will get back to you . A million thanks. I tried it out today...well i made a little twist for the mirchi. Is this recipe suppose to be lite and not spicy ! Well when i was abt to finish i realized that there was no mirchi... i added chilli powder :) as I made this as side dish with Dal and Rice. 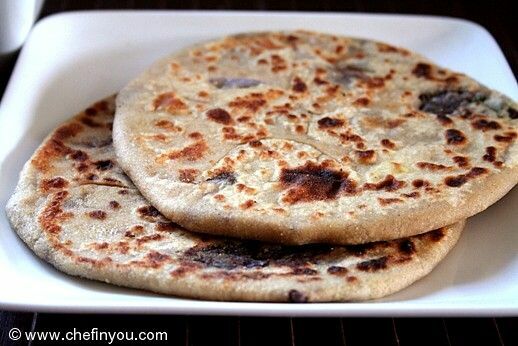 I think this will be tasty dish with roti or parathe. I liked adding tamarind in this. 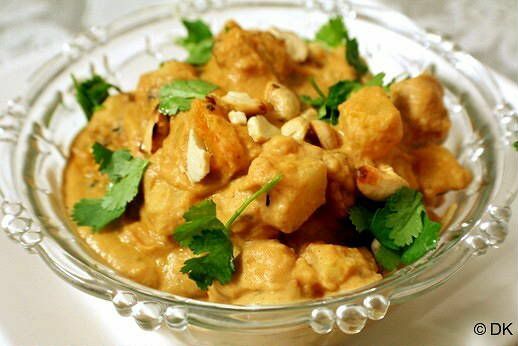 I make a similar curry with paneer and the same base.Nice one. this looks lovely, will try soon. 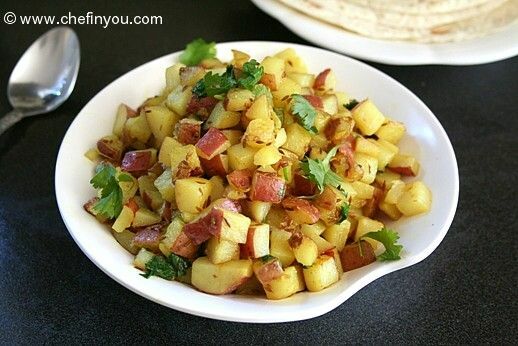 Nice potato recipe. 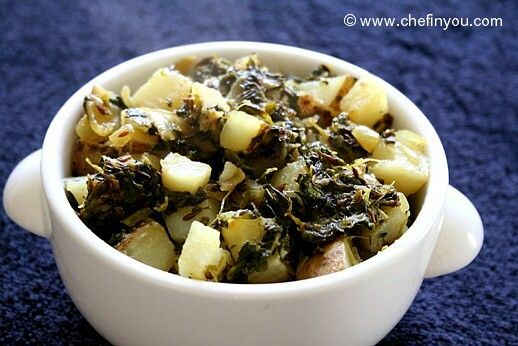 I always like to have one potato dish when I have guests - u can rarely go wrong with it! I'll definitely give this a try. BTW, Kudos to u & ur fellow marathoners. This looks easy yet flavorful.. This is simple yet so good. I liked all the spices that go into it. No wonder its popular. Looks very fantastic,This is very very new to me.Surely try today. Great job! I just feel like trying out all your recipes. I really appreciate your motivation. Wonderful! And what a presentation of recipes! I wish I had even 1 percent of the motivation you have. Really great. And each and every recipe is awesome. Great! I am regularly checking out your blog, though don't find time to comment. Have decided to try out all your recipes soon. Will let you know :) Take care! 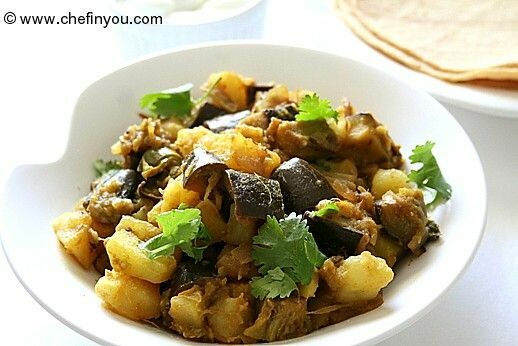 Iam hungry i want it to right now..... HMMMM Adding kasoori methi is the yummy twist. 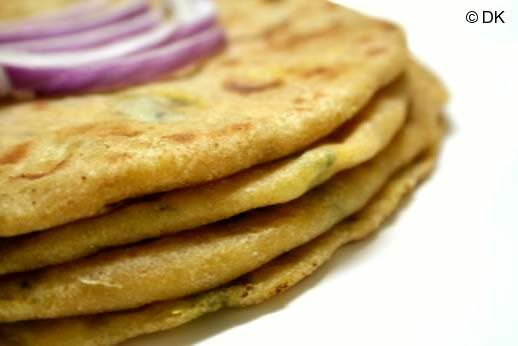 Looks yummmmmmmmmmmmmmmmmmy.